In February 2018, delivery problems caused hundreds of KFC restaurants in the UK to close. 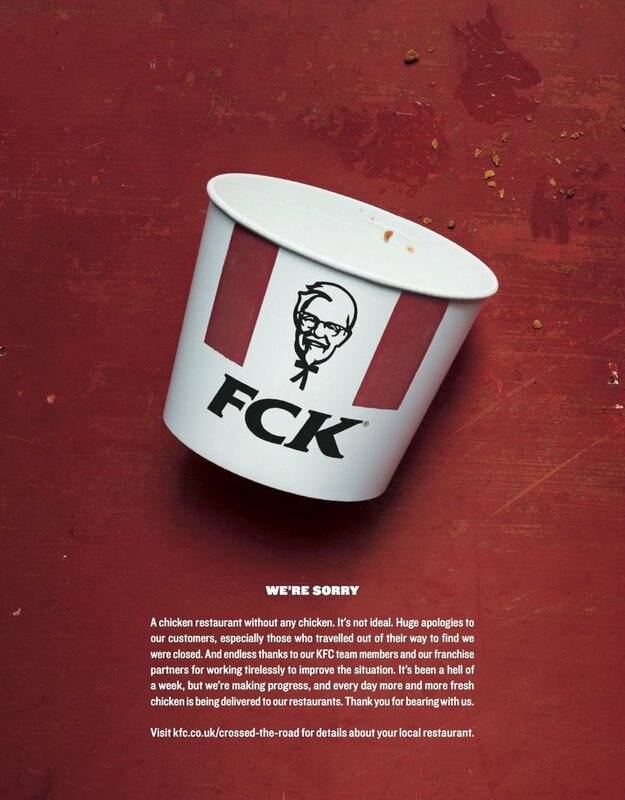 It was a huge national news story, and this was KFC’s response (by Mother London), published in the Metro and The Sun newspapers. This entry was posted in Uncategorised on 9th October 2018 by Gyles Lingwood.